Enhance your property’s pavement structures. 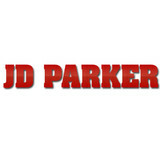 Turn to JD Parker Construction LLC in Missoula, MT for comprehensive paving services. Whether you require driveways repaired or parking lots built, our experienced team is at your service. Our outstanding residential, commercial, and industrial paving solutions are available in the Missoula, Bitteroot Valley and surrounding areas, including most of Western and West Central Montana. We specialize in all phases of concrete, big or small. If you need a concrete sidewalk, concrete foundation or retaining wall, or any other concrete flat work done, then contact us today Anderson Construction is run by locally owned & operated independent contractors. We have been serving the Montana Missoula and Ravalli county area for over 30 years. Whether you live in Missoula, Lolo, Florence, Stevensville or Hamilton area, we have you covered! We work hard to ensure that your project turns out just as you imagined. Give us a call for a free estimate from a licensed Contractor. 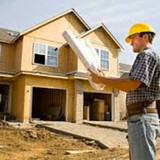 Contracting Services Offered: -All phases of concrete -General Construction -Remodeling -Roofing -Excavation Or Other? Call & ask! Dyed & stamped patio redesigns, outdoor kitchens & firepits, concrete driveways, slabs, retaining walls, remodels including paint, framing. Also on Yelp, Google, Facebook & Chamber of Commerce for job photos. 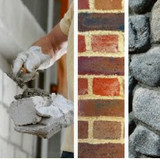 Cutthroat Masonry provides high quality stone & tile work at the best price in MT. Give us a call for a free consultation. We specialize in decorative concrete. From installing new exterior columns to repairing your chimney, masonry contractors can help you add both visual appeal and value to your property. They’ll know what kind of installation makes the most sense for your Bonner, MT climate and regional style. Looking for something that will develop a patina with time? Or would you rather have your home feel brand new for years to come? Choosing the right kind of stone involves thinking about the future, too. Experienced brick suppliers and stone suppliers can help you find the material that will work for your home now and for years to come. These professionals aren’t limited to exterior work either. Whether you want a split-stone granite wall in the kitchen or need help installing traditional brick masonry on your fireplace facade, you’ll want a professional to get it right. If you’re already working with an architect or designer, he or she may be able to suggest a good Bonner, MT subcontractor to help out. Here are some related professionals and vendors to complement the work of stone, pavers & concrete: Landscape Architects & Landscape Designers, Architects & Building Designers, Garden & Landscape Supplies, Driveways & Paving, Siding & Exteriors. Find stone, paver and concrete professionals on Houzz. Search the Houzz Professionals section for Bonner, MT stone, paver and concrete professionals. Browse photos and read reviews, and contact a pro if you like their work.